Sandpits provide many hours of fun for children and allow for lots of different types of activities, I remember when my kids were little and the way their eyes lit up with the saw a sandpit. We humans have always had an affinity with sand whether it’s lying on the beach or building sand castles. It’s not surprising that almost every childcare, primary school or kinder has a sandpit for kids to play in. However as much as it is fun to play in them they have a potential to be harmful to our children if we do not clean and maintained them correctly. Sandpits also attract animals like possums and vermin in particular cats who are very good at scaling fences. Nice soft sand is appealing for these animals to use as a toilet. This situation can cause infections in children and with a small amount of care they can be kept clean and safe for children to play in. Best way is to protect a sand pit with an appropriate custom made sand pit cover that is made to fit the pit exactly to measurement this way it will insure that it is protected from this unwanted intrusion of animals, insects and general debris. Damp sand also attracts insects that can potentially bite or sting our children. 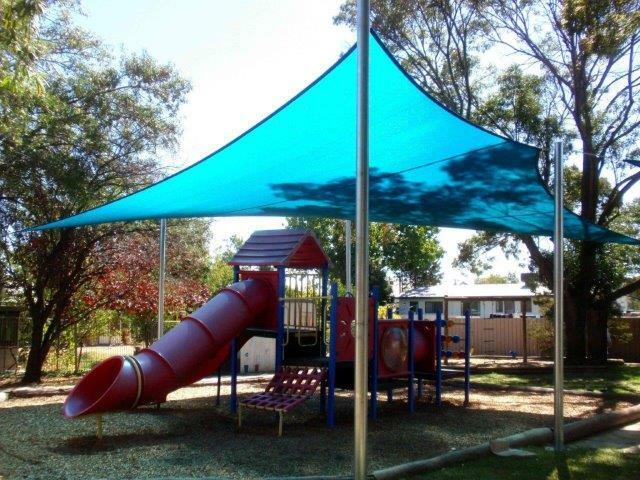 We at Selbys Canvas and Shade are local canvas fabricators that specialise in making custom made Shade Sails and all types of Shade sail fabric products. 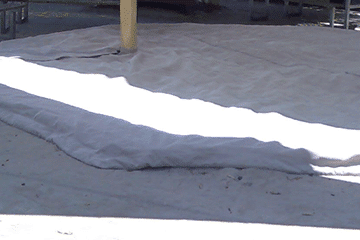 We will make a custom made sand pit cover from shade cloth that will be perfectly measured and designed to fit the sand pit area. 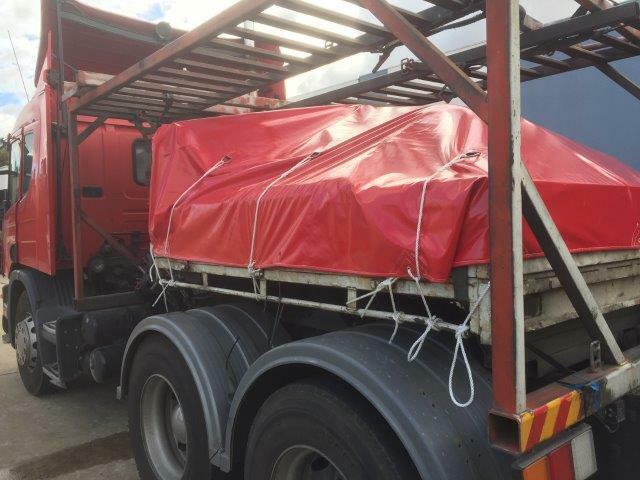 There are various methods of constructing these covers however the method we use incorporates a galvanized chain inside the hem to keep the edges down and to prevent wind from lifting the cover, if needed in high windy areas we can also custom make various sized sandbags to weigh down the covers. 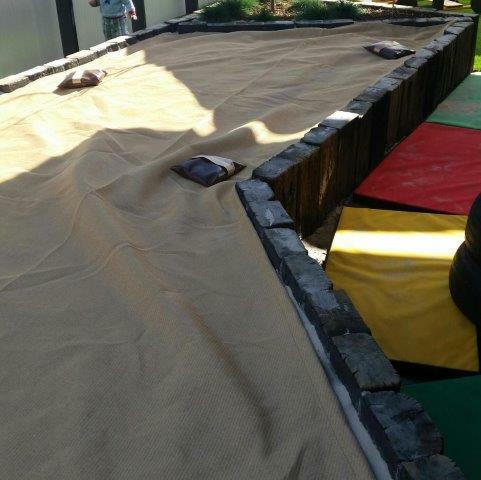 Sand Pit Covers are a preventative measure, however regular maintenance in keeping the sand pit clean is mandatory. Remove sand contaminated by food or other materials, human or animal faeces, blood or other bodily fluids. Where extensive contamination has occurred, all sand should be replaced. 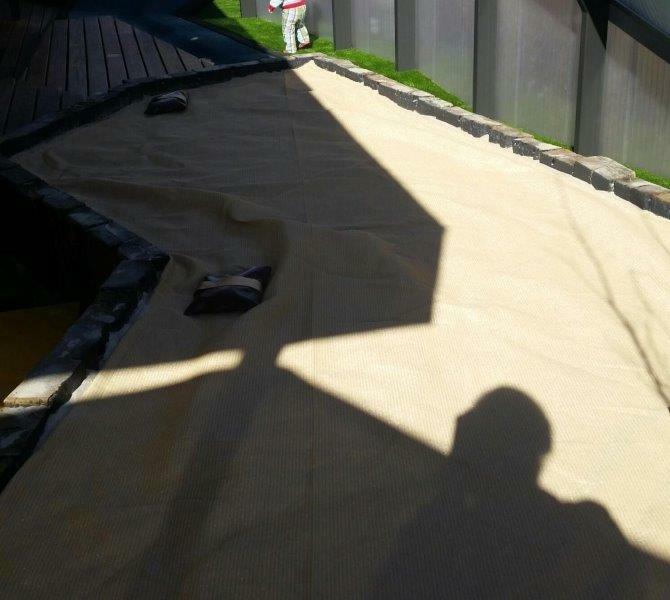 Kidsafe NSW recommends that the sandpit is inspected daily and regular maintenance occurs. The sand must be raked over daily to remove debris (sun and fresh air are good disinfectants), turned over monthly to aerate the sand and replenished when the sand level drops 100mm below the top edge of the sandpit. As a guideline, it is recommended that the sand is replaced annually or as required.